IZArc for Windows 10 - a program for creating, viewing and converting archives. The application can handle a large number of formats and compression methods, it can open CD images, change the compression format without first unpacking the files. The utility has a user-friendly interface, supports simple drag and drop, generation of password, encrypted, self-extracting and compound archives, includes a tool for reading damaged files. 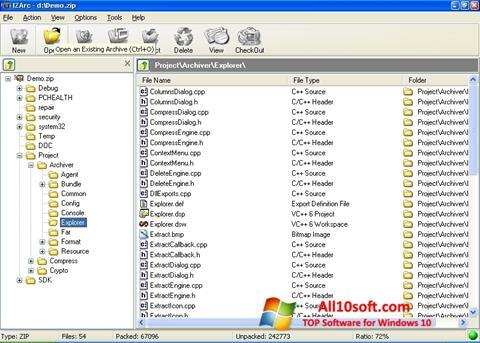 The program is able to analyze the contents of viruses and integrate into file managers for quick access to functions. You can free download IZArc official latest version for Windows 10 in English.